I think I need to give a little bit more background on the politics of the decision by the DWP to trumpet its use of “agile” methods and how, bluntly, the department has misused to potential of agile to give it cover in its huge gamble with public money and the living standards of millions of the least well off. Of course we have to start from the basic fact that most software projects – whether they are in the public or private sector – fail. The failure could be relatively small – a budget overshoot or a lack of sought for capability. Or the failure could be huge – your space craft blows up on launch, your ambulances are never dispatched and people die and so on (these last two are real and will be familiar to almost anyone who has done a development methodologies course). The 1997 – 2010 Labour government had some successes in software driven projects – the UK Passport Service, for instance, is now much more efficient. But it also had a fair number of high profile failures – especially in its efforts to modernise computer use in the health service (though the major ambulance dispatch failure was not in this time, but a software update did fail) – especially attempts to create a single patient electronic record. 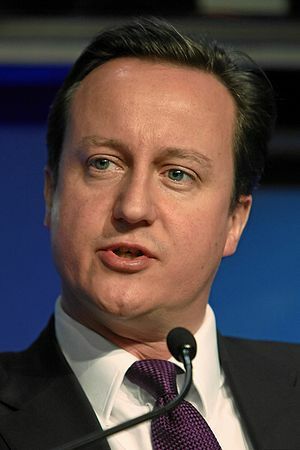 The then Conservative opposition used this often – David Cameron in particular repeatedly suggesting that it was because the Labour government had tried to buy a single supercomputer to run the NHS: something he must have known was simply untrue but presumably worked well in focus groups. So software projects were and are a hot political topic. The new government, coming to office in May 2010 did several things to get a grip on failing projects. Firstly, they went for a good old fashioned gouge of the contractors’ margins: essentially saying cut your prices on existing contracts if you even want to be considered for future work. Secondly, they said that new software projects had to seriously consider using free and open source software to avoid proprietary lock-in and thirdly, they said that a new centralised control mechanism had to be applied to ensure that No 10 and the Cabinet Office had a grip on costs and efficiency: it was out of this that the Major Projects Authority, that has now reported UC is close to failure, came. The three elements have generally worked well. It pains me to give this government political credit, but essentially they deserve it. Yet UC has been allowed to escape this framework, and “agile” was the excuse given for this. In, I think, early 2011 the Institute for Government published a report on government software projects and recommended that “agile” methods be used. They cited an experimental, relatively small scale project by the Metropolitan Police Service as an example of how agile could work successfully in government. I attended the launch seminar which was rather more like a religious mission meeting than a serious seminar on how to get the best value for public money. The room, in one of the government’s finest buildings in St. James’s, was packed to bursting with representatives from small software houses, who saw agile as their ticket to the big time and certainly none of them were going to suggest that “world’s biggest” and “Agile” was a risky mix. At the meeting the DWP announced that they would be using “Agile” as the basis on which UC was developed. I was only an MSc student but even I thought this looked like exactly the sort of project that the textbooks said Agile was not designed for – but I wasn’t confident enough to say that then and nobody else in the room seemed remotely interested in hearing such a thing. But it didn’t take long once the meeting was over for people to point out that this was a high risk proposition: but it also became crystal clear that the Secretary of State in the department had decided that Agile was the secret sauce for government IT and that it, and it alone, would lead him to the promised land. For well over a year it has been an open secret that the Treasury want to pull the plug on UC because they do not believe it can be delivered in anything like a working form to budget. And the signs are all there – essentially the project has already failed as its scope has been cut repeatedly and its final implementation date put back and back. But the politics of the Conservative Party do not allow anyone in government to say this openly and even when the government’s own project watchdog says the system is on the brink of collapse the department come out and rubbish the assessment – even at the price of contradicting themselves. This would be funny were it not for the fact that in just a few months millions of the poorest people in Britain will depend on this system working if they are to eat, to heat their homes and clothe their children. Previous Universal Credit: government closer to recognising failure?